The parents of a 16-year-old girl who was filmed urinating in a bathroom stall say officials at San Ramon Valley High School in Danville aren't doing enough to punish the perpetrator who received a three-day suspension after she admitted to posting the video on social media. Robert Handa reports. The parents of a 16-year-old girl who was filmed urinating in a bathroom stall say officials at San Ramon Valley High School in Danville aren't doing enough to punish the perpetrator who received a three-day suspension after she admitted to posting the video on social media. The 17-year-old girl, a star athlete at the high school, was arrested but allowed to return to school the next day, remain on her team and participate in a championship game back, the East Bay Times reported. The victim's mom, Denise Lynch, accused school district officials of failing to properly respond to the incident by allowing the girl to stay in the school. She said her daughter has been "humiliated" and "violated." Her grades dropped and she has suffered emotionally by having to face her tormentor at school, the mother added. "When it is reported to you, you do nothing, you minimize it, you sweep it under the rug," Lynch told board members at a meeting Tuesday. "Had my daughter not told us, or God forbid killed herself, everyone would be asking themselves: 'What more could have been done?' Now is the time to do something," her husband Sean Lynch said. The Lynches found out about the video when it was posted on Instagram in April, months after it was filmed in November by a cellphone from under a bathroom stall. Court documents also accuse the perpetrator and friends of throwing candy on the victim's front lawn and posting a message calling the act a "hit." 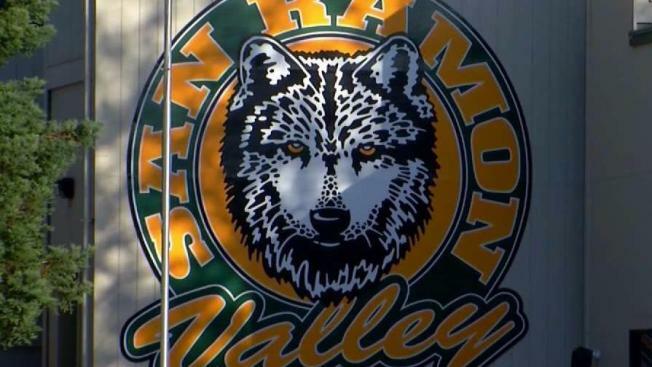 A San Ramon Valley Unified School District spokeswoman declined to discuss the district's response to the bathroom incident, citing student privacy. She said police reported the incident to school officials, who investigated it and took disciplinary action. In general, "the district uses progressive discipline, meaning that the type of discipline may in part depend on a student's past behavioral history. We are also increasingly using restorative practices when possible," Elizabeth Graswich said. The girl was arrested and cited for invasion of privacy, which is a misdemeanor, Danville police spokesman Geoff Gillette said. Her case will be reviewed by the Contra Costa County Juvenile Probation Department, he said. The Lynches may consider taking legal action. This incident comes as the school deals with another student's controversial video campaign that depicted Muslim terrorists with guns. The student was eventually reinstated, but that decision prompted a student rally.